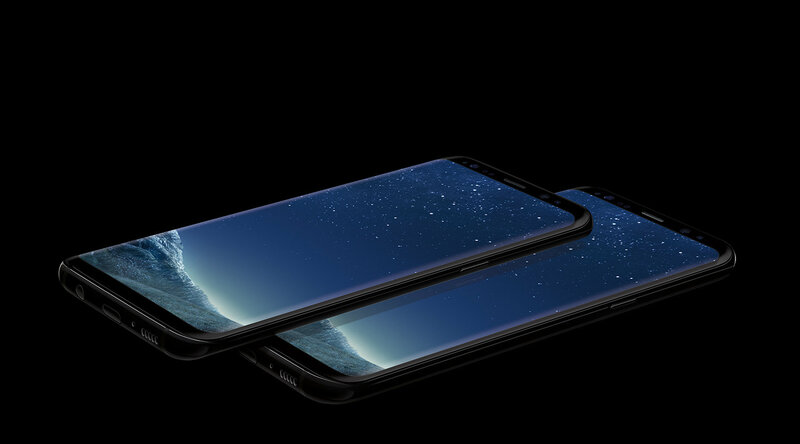 The Galaxy S8’s expansive display stretches from edge to edge, giving you the most amount of screen in the least amount of space. 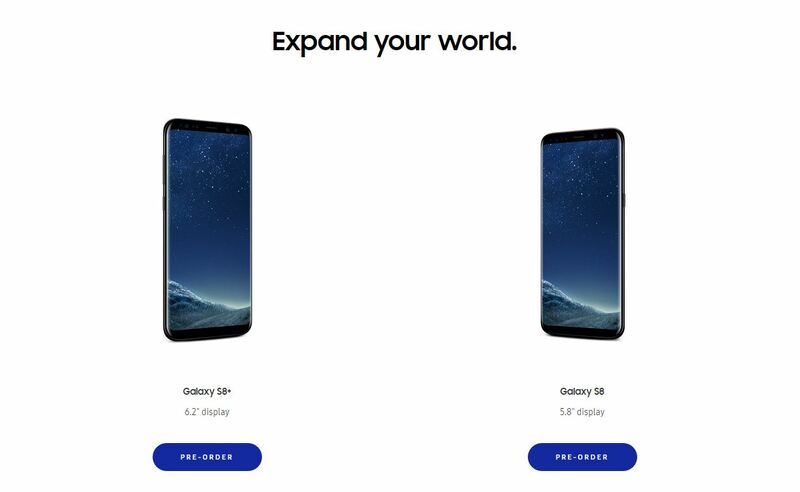 And the Galaxy S8+ is even more expansive- Samsung’s biggest screen yet. The Galaxy S8’s expansive screen is big and brilliant, yet still designed to fit comfortably in your hand with a slim profile. Now security is personal. 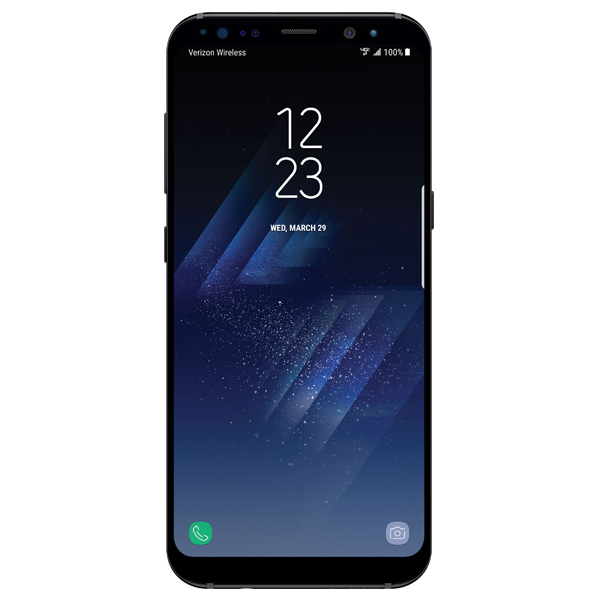 With facial recognition, the Galaxy S8 easily unlocks with a look. The Galaxy S8’s camera still takes amazing photos in low light, and now has an enhanced front-facing camera so you can take better clearer selfies. Bixby is an intelligent interface that learns from you to help you do more. It learns your routines to serve up the right content and apps at the right time, keeps track of your to-do list, and gives you a deeper understanding of what you are looking at. Use Bixby Reminder to keep track of your to-do list. Bixby can tell you to pick up milk on the way home, or even keep track of your place in an article online. Look at your world in a new way. Bixby lives inside your Camera, Gallery and Internet to give you a deeper understanding of what you’re looking at. Just tap the Vision icon in your viewfinder and Bixby will serve up contextual icons: translation, QR code detection, landmark recognition and shopping. Take a picture of an item to find out where to buy it. Unlock new possibilities, from your wallet to your home, with apps and services designed to help you live better. Enjoy Premium Care, low monthly payments and delivered by 4/20. 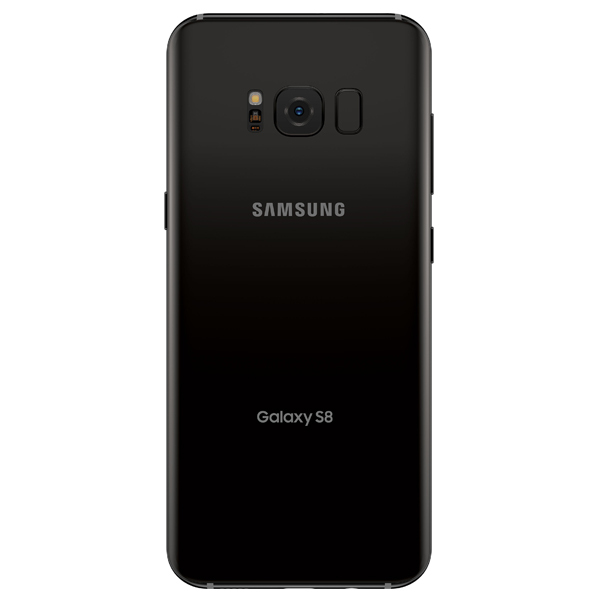 Samsung Galaxy S8 has the cutting-edge features you need to do the things you love faster, easier and better. An eye catching, 5.8″ inch curved display goes all the way to the edge, so you can see more. 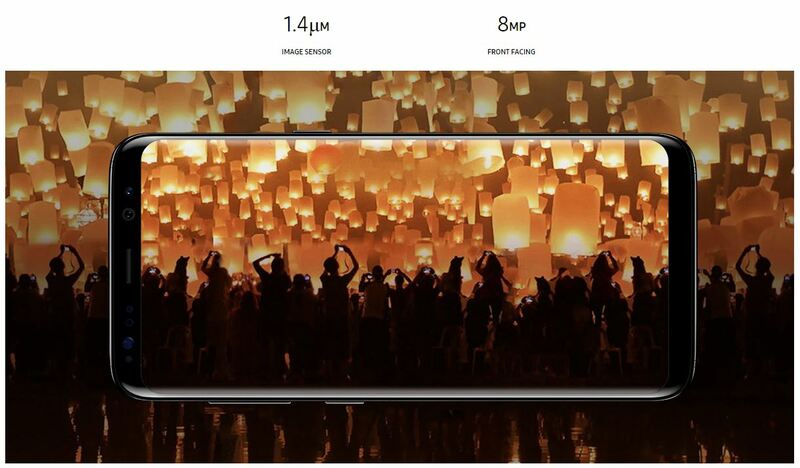 The 12MP camera and advanced processor takes sharp, clear photos faster. 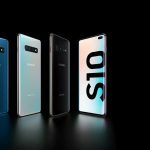 Introducing Bixby – Samsung’s new intelligent interface that is able to navigate easily through services and apps so that users can experience more with their phones. A phone this advanced deserves a network that can keep up. The Galaxy S8 comes in 64GB. Available in Orchid Gray, Arctic Silver or Midnight Black (subject to availability). HD Voice Experience HD Voice, Video Calling and Simultaneous Voice & Data. Enable Wi-Fi Calling and make calls anywhere you have a Wi-Fi connection.